We’d love your help. Let us know what’s wrong with this preview of Running Wild by Michael Morpurgo. To ask other readers questions about Running Wild, please sign up. Why did will and his mother diced to go to and not somewhere else? Essentially there was something wrong on every page - from where a boy hasn't eaten for a couple of days and then he stuffs his face with figs but then doesn't die of dehydration from the diarrhea that would have resulted - to the worst confrontation scene I've ever come across. A great story about a boy, and how an elephant saves the boy's life from terrible disasters. I could always visualizing what happened. The author, Michael Morpurgo, was very descriptive in this story. I was very surprised by the end, but I loved the end just as it was. I laughed out loud many many times in this story, as well as cried one or two times. The relantionship that Will, the boy, and Oona, the elephant, had was incredible. They were like best friends, and when they got seprated they al A great story about a boy, and how an elephant saves the boy's life from terrible disasters. I could always visualizing what happened. The author, Michael Morpurgo, was very descriptive in this story. I was very surprised by the end, but I loved the end just as it was. I laughed out loud many many times in this story, as well as cried one or two times. The relantionship that Will, the boy, and Oona, the elephant, had was incredible. They were like best friends, and when they got seprated they always found their ways back to each other with much effort. I really wanted to be with Will and Oona through their journeys. After I finsihed the book, I missed Oona and Will. This story somewhat changed the way I look at life. Their are many struggles, but with friends and family you can and will make it. I also loved Charlie, Tonk, and Bart. They depened on Will, and Will was always there for them. He helped them through every moment of there struggles. The Other One, after you read the book, you will know exactly who this is, turned out to save their lives. The Other One lead them to safety and away from the fires. I adored this! I wasn't expecting to be so drawn into it as I was. Such a beautifully written book, not just for kids, but for everyone that wants to be inspired by true friendship and kindness. Running wild is a children’s adventure fiction novel. In this novel the story of a young boy named Will is told through captivating chapters. The emotion throughout the novel is strong and the narrative holds deeper conceptual meanings. Will and his mother are on a trip to Indonesia, Will is living out his dream of rising an elephant, when suddenly they become separated(by the elephant) in an urgent commotion. The boxing day tsunami was coming. Oona, the elephant saved Wills life from a terrible Running wild is a children’s adventure fiction novel. In this novel the story of a young boy named Will is told through captivating chapters. The emotion throughout the novel is strong and the narrative holds deeper conceptual meanings. Will and his mother are on a trip to Indonesia, Will is living out his dream of rising an elephant, when suddenly they become separated(by the elephant) in an urgent commotion. The boxing day tsunami was coming. Oona, the elephant saved Wills life from a terrible disaster, and continues to do so throughout the narrative. With the rich, vivid adjectives the visualisation of each event Will encounters is unexplainable. This novel made me laugh and cry from start to finish. I was truly captivated and unable to put it down. The approachable manner in which this is achieved, through the eyes of nine-year-old Will means this book, although will have differing effects on each audience member, is accessible for KS2 pupils and above. The relationship that Will, the boy, and Oona, the elephant, had was incredible. When Will and Oona got separated they always found their ways back to each other with much effort. The deeper conceptual deductions from their relationship can be taken beyond text level, and puts your own relationships, and our relationship with the animals on this planet into perspective. There are many struggles in our own lives, but with friends and family you can and will make it- just live Oona and Will (eventually) did. As the book progresses, it tackles issues of poaching, deforestation, loss and despair and teaches young readers the basics of what is happening to our rainforests and its creatures. English: In my SBT1 class, this book was used to assist pupils in writing persuasive pieces to stop deforestation for palm oil- pupils were captivated and passionate due to their intense emotional response to Wills story. Additionally, this novel would prove engaging should you stop just before the ending and allow pupils to continue the narrative and write their own ending(or do the same at any point of the book). Science: A conceptual introduction to natural disasters and their human effects. A conceptual introduction to human disasters(deforestation for business) and their effects on humans, habitats, global warming and animals. PSHE: Sections of the book could provide for good discussion topics- requiring pupils to deduct deeper meanings behind Wills feelings and relate this to their own experiences. Pupils can then share and discuss with peers. Geography: This novel provides deep description and context for rainforest topics. Pupils would be better able to imagine the different layers of the rainforest, understanding the different animals and their struggles. Pupils could use self-chosen extracts of the book to add vivid description to rainforest work/projects. Drama: Due to the emotive, vivid language pupils will have every enthusiasm to act out any element of this narrative. The characterisation modelled will ensure pupils can fully take on characters and paint a full picture of their traits. Hot seating from this book was observed on SBT1 and pupils responses to ‘how might ___ character be feeling in this section’ were in depth and well placed to the characters specific traits- as pupils had so many examples to relate to. Running Wild by Michael Morpurgo Is a book about a boy named Will. Will has lost his father and is still recovering, to escape from all the sadness Will and his mom take a trip to Indonesia. The elephant, Oona, Will was riding starts moving away from the beach as if she was scared. Faster than Will is able to realize a tsunami comes crashing in and Oona begins to run towards the jungle. This book is a story about how Will has to survive in the jungle with nothing but his companion, Oona. I really Running Wild by Michael Morpurgo Is a book about a boy named Will. Will has lost his father and is still recovering, to escape from all the sadness Will and his mom take a trip to Indonesia. The elephant, Oona, Will was riding starts moving away from the beach as if she was scared. Faster than Will is able to realize a tsunami comes crashing in and Oona begins to run towards the jungle. This book is a story about how Will has to survive in the jungle with nothing but his companion, Oona. I really enjoy Michael Morpurgo's story lines, most of them are adventurous and emotional making his books good reads. I think his style of writing is also very descriptive making his books engaging and entertaining. This book was recommended in class by a friend, She said she found the book emotional but said the start was uninteresting. I completely agree with both opinions, the start of the book was uninteresting as there was no action because all the characters were being introduced. However, Will's survival adds adventure and excitement to the book and the bond that Will creates with Oona is heart melting. Although it was quite sad I really enjoyed the thrill and mix of emotions in this book. Overall I think this book is great and will leave readers in tears, I recommend this book to every age and every type of reader! I always thought if I were ever going to have an animal for a best friend it would be a unicorn. That’s until I was introduced to Oona. The world’s most devoted, caring and intelligent Elephant, and the best friend Will could ask for. I should probably warn you that this book is the tear jerker of all tear jerkers. If you’re a fan of Morpurgo then this will come as no surprise. The man sure does have a knack for dealing with sensitive subject matter. The issues dealt with in Running Wild are poi I always thought if I were ever going to have an animal for a best friend it would be a unicorn. That’s until I was introduced to Oona. The world’s most devoted, caring and intelligent Elephant, and the best friend Will could ask for. I should probably warn you that this book is the tear jerker of all tear jerkers. If you’re a fan of Morpurgo then this will come as no surprise. The man sure does have a knack for dealing with sensitive subject matter. The issues dealt with in Running Wild are poignant and almost far too real; the Iraq war, deforestation, endangered animals, and 2004’s devastating Tsunami are all brought to life in this tale of one boy overcoming all the odds to survive. The approachable manner in which this is achieved, through the eyes of nine year old Will, make it a truly remarkable read. Beautifully told and illustrated likewise, it is an absolute pleasure to read. Such a beautiful ,well written book.Really enjoyed it and it was quiet sad but was determined to finish it.This was the book that made me start reading actually and will definitely be buying my own copy.I recommend it to everyone. This was so depressing. I read it to my kids and none of us liked it. I swayed to the jungle rhythm reading this one. Fell in love with Oona, the tiger, and the orangutans. Though the plot was not completely gripping to me, I enjoyed how the author so creatively enmeshed tsunami, a lost boy, an empathetic elephant, and their wild stories of survival into a book. The illustrations added a meaningful depth to my reading. A good read! This was one of my favourite books when I was younger. I’ve not read it in a long time but I remember the story quite vividly still. Michael Morpurgo really brought the book to life and i loved it. I will probably read it again sometime and when I do I will update the review. A fabulous story and I love Morpurgo's descriptive style. I found some parts a little slow to get going hence the rating. I did enjoy it though! I couldn't put the book down because you felt like if you did then something would happen and you wouldn't see it. It's an epic story of a boy who loses his mum because of a tidal wave on the beach, the only reason he is alive is because of one clever Elephant. He was having a ride when the Elephant went all strange and ran off, the boy doesn't know how to stop the Elephant and starts panicking. After a few days it dawns on him that he has lost his mum, as well as his dad. He starts to make frie I couldn't put the book down because you felt like if you did then something would happen and you wouldn't see it. It's an epic story of a boy who loses his mum because of a tidal wave on the beach, the only reason he is alive is because of one clever Elephant. He was having a ride when the Elephant went all strange and ran off, the boy doesn't know how to stop the Elephant and starts panicking. After a few days it dawns on him that he has lost his mum, as well as his dad. He starts to make friends with the Elephant and tries to communicate using some type of sign language, unfortunately the Elephant would only stop when it was hungry and tired. While in the woods the boy gets used to his surroundings and also makes friends with the animals. When i first started this book i thought it would be a drag, the first twelve pages were about a train journey. However the story slowly progressed and i found i couldnt put it down. After sensing a tsunami Oona an elephant that Will was riding carries him off into the jungle far away till she feels safe. Will survives in the jungle with an elephant and orangutans using instinct and the environment to stay alive. the story tackles the issues of poaching, deforestation, loss and despair and teaches young readers the basic of what is happening to our rainforests and its creatures, always with hope and determination that things can change. This book gets off to a beginning that grasps my attention and has a bittersweet ending. All based on a real event (Indian Boxing day tsunami Dec 26th 2004) which makes it sort of relatable because of hearing about other tsunamis on news websites and being able to connect to that. It's relatable because when I first heard of the Japanese tsunami in 2011 I saw footage of it and to live through those kind of events it's horrible to see everything be washed away from you. Overall a definite five star This book gets off to a beginning that grasps my attention and has a bittersweet ending. All based on a real event (Indian Boxing day tsunami Dec 26th 2004) which makes it sort of relatable because of hearing about other tsunamis on news websites and being able to connect to that. It has information on the war in Iraq, deforestation, endagered species, and the connection of people to animals and nature, how they can heal a broken heart. Also, how small things can make one huge difference, and happiness is important. It was beautifully written, very heart warming and sad. Of course, it's Murpurgo, I expected it to be sad. I wanted to read this book for a really long time and had very high expectations, I wasn't dissapointed one little bit. This could be one of the most depressing books I've ever read. From constant comments about elephant farting to the most unrealistic survival story imaginable. Morpurgo says at the end that he always wanted to write a book on Elephants. But then the Iraq war, the Boxing Day Tsunami and then an orangutan sanctuary made him say that he had to write the book???!!! I read this book when I was young ,7 or 8 and it was probably the first book that really moved me! It is a beautiful story with wonderful descriptions , telling the tale of how boy becomes lost in the jungle and captivated by it but soon realizes how humans are damaging it. The last lines of the books are quite emotional.A must read! This is an amazing book about a boy who loses his parents and is saved by an elephant. He must survive with only an elephant and a few orangutans as companions and he must fight to survive. Couldn't get into this and struggled to finish. This book is very touching and I generally do not like Michael Morpurgo’s books because they are too sad. But this book really connected with me and had me crying and laughing all in one chapter. SSSOOO sad, but SSSSOOOO amazing. This review has been hidden because it contains spoilers. To view it, click here. 8"The elephant lifted her trunk and began trumpeting at the sea. She swung around, and I held on for dear life as she stampeded into the shadows of the jungle..."
For Will and his mother, going to Indonesia isn’t just a holiday. It’s an escape, a new start, a chance to put things behind them - things like the death of Will’s father. And to begin with, it seems to be just what they both needed. But then Oona, the elephant Will is riding on the beach, begins acting strangely, shying away from the s 8"The elephant lifted her trunk and began trumpeting at the sea. She swung around, and I held on for dear life as she stampeded into the shadows of the jungle..."
For Will and his mother, going to Indonesia isn’t just a holiday. It’s an escape, a new start, a chance to put things behind them - things like the death of Will’s father. And to begin with, it seems to be just what they both needed. But then Oona, the elephant Will is riding on the beach, begins acting strangely, shying away from the sea. And that’s when the tsunami comes crashing in, and Oona begins to run. Except that when the tsunami is gone, Oona just keeps on running. With nothing on his back but a shirt and nothing to sustain him but a bottle of water, Will must learn to survive deep in the jungle. Luckily, though, he’s not completely alone... He’s got Oona. Finding this book at a bookstore and buying it for 15 dollars was definitely not regretted. I loved everything about this book! Firstly, the interesting yet tough adventure of a young boy and an elephant was just so thrilling and exciting. The fact that I could finish almost half the book without getting distracted shows how captivating the content in the book was. The second reason why this book is such a frigging good read is due to the heartwarming relationship formed between Oona (the elephant) and Will. I could deeply feel and connect with the emotions Will and Oona felt for each other, with Will depending heavily on Oona to survive the dangerous jungle. The entire book was basically about Oona and Will's intimate relationship, with Oona in her comfort zone whereas Will is struggling to survive. The book was short and sweet, with a plot which took of really quickly. The whole plot was so interesting that I could hardly identify a climax. Every single adventure in the jungle from meeting a tiger, to rescuing baby orang-utans was painted so vividly that I was entertained every single chapter. One of the most prominent concepts in this book was that of altruism. The revolving presence of unselfishness could be seen almost everywhere, from Oona protecting Will from dangers, keeping him alive by showing him food or water to Will generously giving the baby orang-utans his food when being held captive by the hunters. I personally feel that the element of altruism in characters such as Will and Oona creates a contrast against the selfish hunters who kill animals for their own l separate personalities of mankind can be portrayed clearly in this book through the main characters, Will, Oona and the hunters. This book is a children adventure fiction - it meant for a children's reading so, don't expect to be much more thriller. I love this book and I enjoyed reading this. It'a about a young boy named Will, who lost his father in Iraq's war and also had lost his mother in Tsunami 2004 in Indonesia. He was very young when these tragic events hit him. He was being saved by an elephant during the Tsunami and that's where his adventure begin. Right after his father's death, they (Will and his mother) flew This book is a children adventure fiction - it meant for a children's reading so, don't expect to be much more thriller. I love this book and I enjoyed reading this. Right after his father's death, they (Will and his mother) flew to Indonesia for holiday. And it is suppose to be a happy and meaningful holiday for both of them, to restart their lives without a father and a husband. When both of them were at the beach, taking their sweet time enjoying the sea, something came on. Will's mother was swimming in the sea when the tidal wave came and hit the beach. While, Will was riding on the elephant. Somehow, the elephant almost knew something bad is coming and before the tidal wave came, the elephant ran into the jungle, ran as fast as it could, as far as it could with Will still stuck on it. So, Will survived. He made friends with the animals in the jungle. He began to communicate with the elephant which was called Oona. He met with the tiger and orang utans. He survived by eating fruits (mostly figs) and slept in a nest (he made it on his own) on top of the tree. For almost a year he'd been living with the wild in the forest and he survived. One day, the forest was on fire. Oona carried him and ran as fast as she could. So did the Orang Utans. Until they came to a sanctuary - The orang utans sanctuary that was lead by a doctor named Dr. Geraldine. She has helped him a lot. She knew him. She knew his story. Because, she had a pamphlet that was given to her by Will's grandparents during their searching. But Will's heart is with the forest, with Oona and the orang utans - Bart, Tonk, Charlie, Mani and the Other One. He couldn't leave all of them. Thus, he made his mind to stay with Dr. Geraldine, and not to follow his grandparents back to England where he came from. 1. Children's literature often forces its protagonists to depend upon their own resources and initiative. However, Running Wild offers a different preconception. Morpurgo tells to great effect, a story of a boy who is saved by an elephant during a tsunami. The plot follows Will, who is riding an elephant, Oona who sensed immediate danger and ran into the jungle, terrified and explores the theme of survival. 2. This book is told in first person, and readers who notice that Will has an improbable degree of self-awareness for a nine-year-old ("From now on I would remember only the marvellous times, the magical moments that I knew would lift my spirits, that would banish all grieving") and precocious powers of expression ("Whatever it was had transformed her from a ponderous creature of supreme gentleness and serenity, into a wild beast, maddened by terror") will find an explanation in the short postscript. 3. Running Wild appears to have parallel connections to Rudyard Kipling’s “The Jungle Book”, but the presentation of human life in Morpurgo’s writing is more threatening. This is perhaps because tragedy is a predominant theme in this piece of children’s literature which is demonstrated through the destruction of the environment that has arisen from human interference. This review has been hidden because it contains spoilers. To view it, click here. I apparently can't keep away from Morpurgo's books! This wasn't one of those books I was desperate to read and out of all his books, it sounded the least interesting. However, I had it on my pile and as I was going away, I thought it would be an easy holiday read. And I am so glad I chose to read this book. Although to some people, it may seem a bit odd and unrealistic for a boy to survive in the jungle with nothing but his clothes and riding the back of an elephant (almost like Mowgli from the I apparently can't keep away from Morpurgo's books! And I am so glad I chose to read this book. 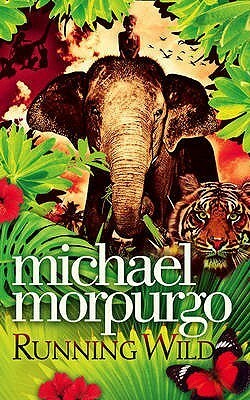 Although to some people, it may seem a bit odd and unrealistic for a boy to survive in the jungle with nothing but his clothes and riding the back of an elephant (almost like Mowgli from the Jungle Book) Morpurgo portrays it so brilliantly, you want it to be true. The level of detail as to how Will learns to survive in the 'wild', his methods of dealing with the immense grief and shock of losing both his parents, the development of his companionship with the elephant and his encounters with the tiger and the orangutans is so incredible, it is clear that the author did his research on this and this alone is worthy of five stars, even without the great compassion and understanding shown for the wild animals throughout the book. There were times I was reading this that I wondered if this was even a children's book, due to the acts of horror carried out by humans on animals which were so brutally honest and heart breaking. Yet Morpurgo also manages to turn it around to create an uplifting, hopeful future for the characters as well as showing there are good, caring people in the world. I really like Michael Morpurgo, and I find his books interesting. Also, I had it at home, and had never read it before. Why did I like it/not like it? I liked it, because it talked about some of the many, horrible things going on in the world, such as deforestation and tsunamis. It helped me realise/recognise how bad it's getting, while keeping it entertaining, though I did feel that when Will was going through the forest trying to find a way out, that it did drag on, and Why did I read this book? I liked it, because it talked about some of the many, horrible things going on in the world, such as deforestation and tsunamis. It helped me realise/recognise how bad it's getting, while keeping it entertaining, though I did feel that when Will was going through the forest trying to find a way out, that it did drag on, and they could have cut some parts out. I learned about deforestation, and how people buy whole areas of land to grow trees in, just to cut them down for money. Will-When Will found out about his father dying at war, he was devestated, and went to live with his grandparents. And when he went on holiday with his mother, and she died in the tsunami, he tried to stay positive and believe she was still alive, and kept trying to find her. He kept trying to help the animals, and keep them safe, and when his grandparents came to pick him up, he said he would prefer to stay and help the animals. I definitely wasn’t expecting to enjoy this book as much as I did, but I found it so powerful and so moving - it’s actually been a while since I cried while reading. Although the plot and the adventure is interesting, it’s the characters and the environmentalism which really make this book. The animals are captivating, so well characterised, and you cannot help but love them. And the inclusion of deforestation, hunting and global warming is so important. Even though this book was published ten y I definitely wasn’t expecting to enjoy this book as much as I did, but I found it so powerful and so moving - it’s actually been a while since I cried while reading. Although the plot and the adventure is interesting, it’s the characters and the environmentalism which really make this book. The animals are captivating, so well characterised, and you cannot help but love them. And the inclusion of deforestation, hunting and global warming is so important. Even though this book was published ten years ago its messages still ring true, and as a society we are only really waking up now to the dangers of palm oil and the damage we do to our world. "Running Wild" is one of the many fascinating stories from Michael Morpurgo. I definitely call this a page turner, as I finished it in one day. The book, based on a true story, is a book about a boy named Will, who after his father died, decides with his mom to go on a vacation to Indonesia. As Will gets to ride an elephant, named Una starts acting weirdly, noticing that in the distance, a tsunami is about to strike. Una takes off to the Jungle saving bothe Wills and her own life. 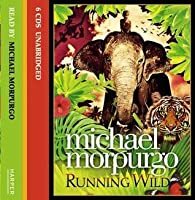 The book is ab "Running Wild" is one of the many fascinating stories from Michael Morpurgo. I definitely call this a page turner, as I finished it in one day. The book, based on a true story, is a book about a boy named Will, who after his father died, decides with his mom to go on a vacation to Indonesia. As Will gets to ride an elephant, named Una starts acting weirdly, noticing that in the distance, a tsunami is about to strike. Una takes off to the Jungle saving bothe Wills and her own life. The book is about how Will coping in the Jungle, and how Una has helped him survive at many times.